Newtown. San Bernardino. Las Vegas. Sutherland Springs. And now, Parkland. Five of the six deadliest mass shootings of the past six years in the United States. In each of them, the gunman had an AR-15-style semi-automatic rifle. The NRA calls the AR-15 the most popular rifle in America. The carnage in Florida on Wednesday that left at least 17 dead seemed to confirm that the rifle and its variants have also become the weapon of choice for mass killers. It is not hard to see why. Originally designed for troops to kill enemy fighters, the weapon became the military’s M16 and the shorter M4 carbine. It was easily adapted for civilian use, with one major difference: Military versions can fire fully automatically — or in bursts of several shots — by depressing the trigger once. The civilian semi-automatic version requires a pull of the trigger for each shot. But other features that make the AR-15 so deadly on the battlefield remain. It is light, easy to hold, and easy to fire, with a limited recoil. Bullets fly out of the muzzle more than twice as fast as most handgun rounds. The man accused of the killings in Parkland had “countless magazines” for his AR-15, the local sheriff said. And there is still one more reason the weapon is so popular in states like Florida: They are very easy to buy — and for a 19-year-old like Nikolas Cruz, the accused killer, far easier to obtain than a handgun. While Florida has a three-day waiting period for handgun purchases, anyone without a felony record, domestic abuse conviction, or a handful of other exceptions can walk into a gun store, wait a few minutes to clear a background check, and walk out with an AR-15-style rifle, magazines, and ammunition. Under federal law, you also must be 21 to buy a handgun from a firearms dealer. But 18-year-olds can buy semi-automatic rifles. Precisely how Cruz came to possess the gun is not clear. 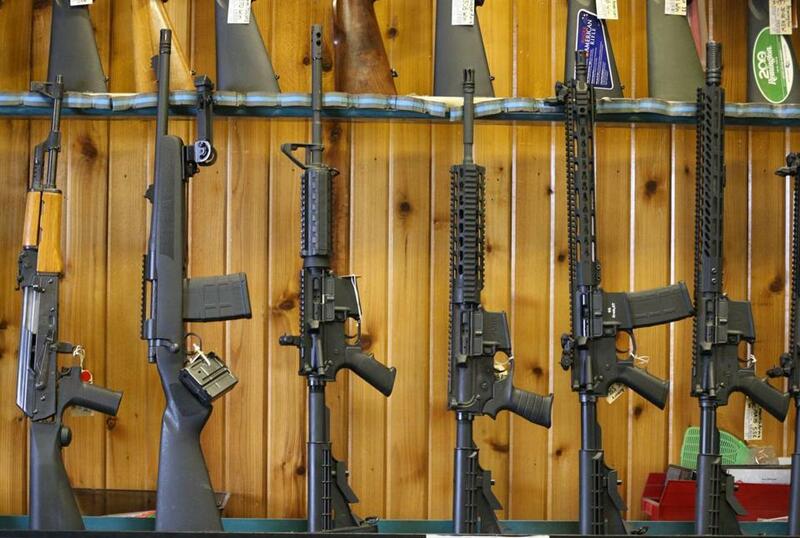 But authorities said the AR-15 rifle that Cruz used in the attack was purchased legally. “No laws were violated in the procurement of this weapon,” said Peter J. Forcelli, special agent in charge for the Bureau of Alcohol, Tobacco, Firearms and Explosives in Miami. Congress explicitly banned AR-15s and other semi-automatic rifles that fit its definition of assault weapons from 1994 to 2004. Only Massachusetts, New York, California, Washington, D.C., and four other states have their own assault-weapon bans, according to the Giffords Law Center to Prevent Gun Violence. Washington, D.C., and eight states also limit the large capacity magazines that have made many mass shootings so deadly. Even so, there have been efforts to circumvent the bans, legally and illegally, by making minor changes to the weapons. “These guns are much more deadly than traditional bolt-action rifles or traditional shotguns, but they are regulated the same way” in most of the country, said Adam Skaggs, chief counsel of the Giffords center.